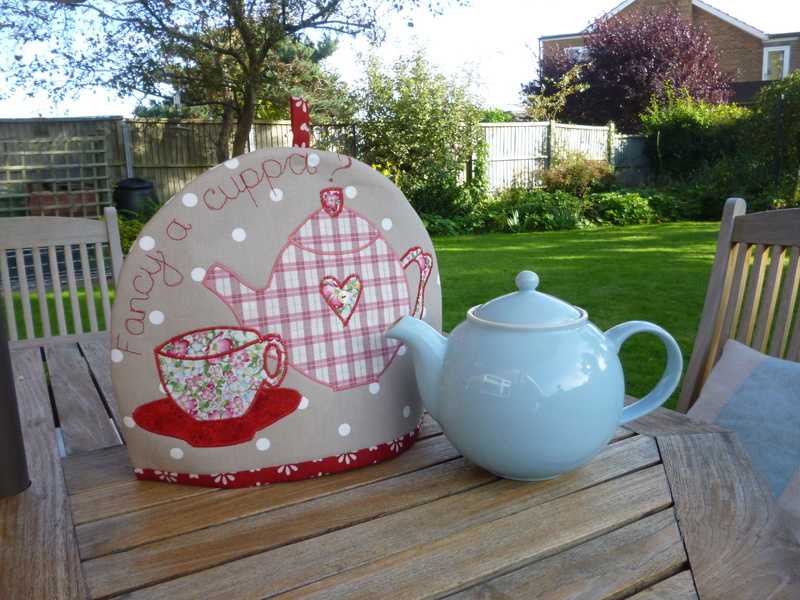 I’m really pleased to be asked by Caroline owner of Manor Farm Tea Shoppe , Bleasby, Nottinghamshire to plan a programme of sewing courses for 2013, I can’t wait!. 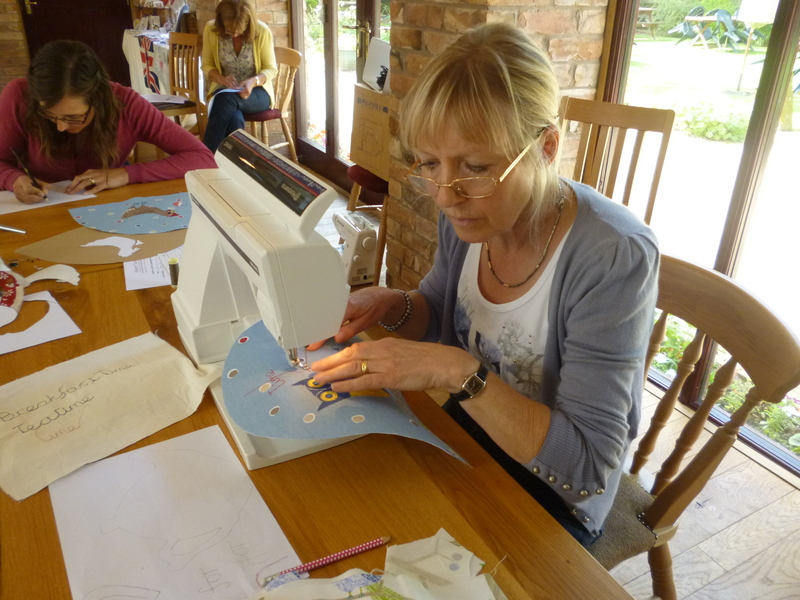 The workshops that I have run in conjunction with them this year have been really enjoyable, and I have met some lovely people who have been so enthusiastic and as crazy as me about fabric and sewing! 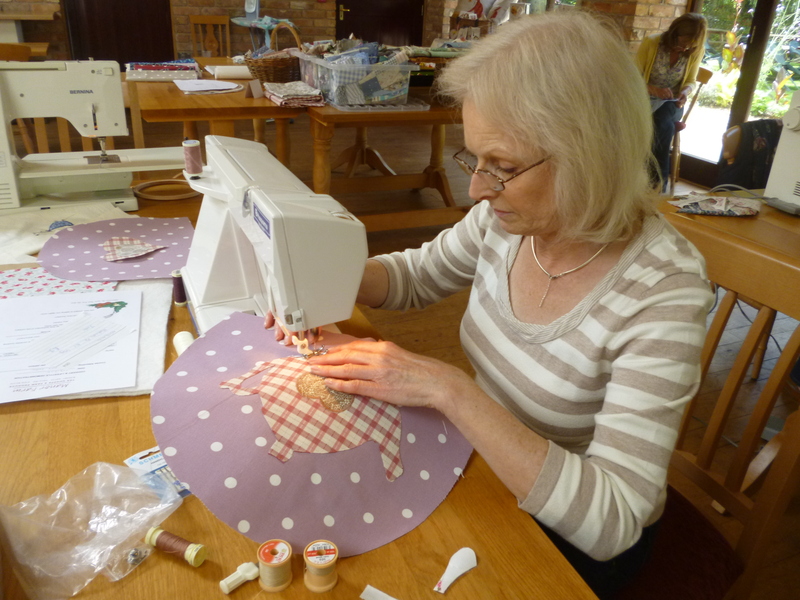 It’s great to spend a day with like minded people and create individually handcrafted items and I am always amazed by how surprised they are about the finished items that they have produced by the end of the session. 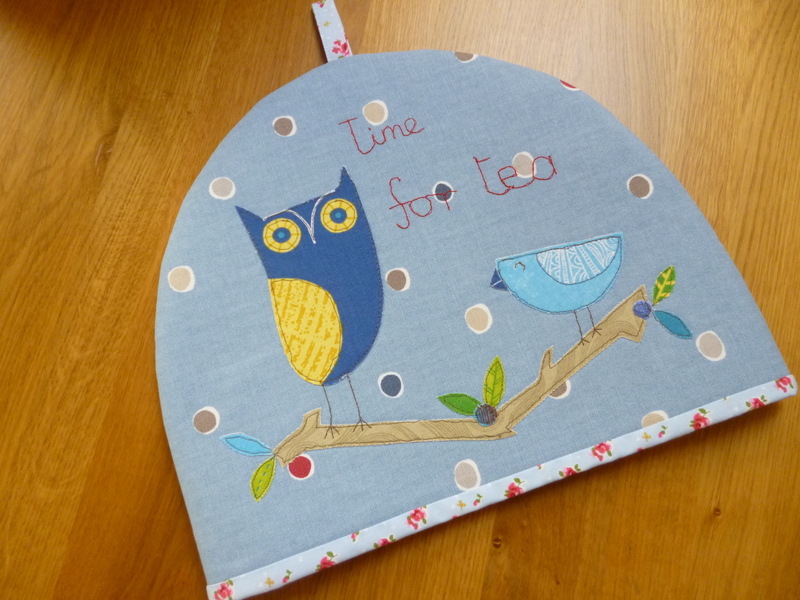 The following photographs show the lovely free-machined tea cosies that were produced at my latest workshop and it is great to see how different they all are. Kathy’s very sophisticated colour palette heart cosy, beautifully photographed by Kathy (thanks for sending the lovely photo). 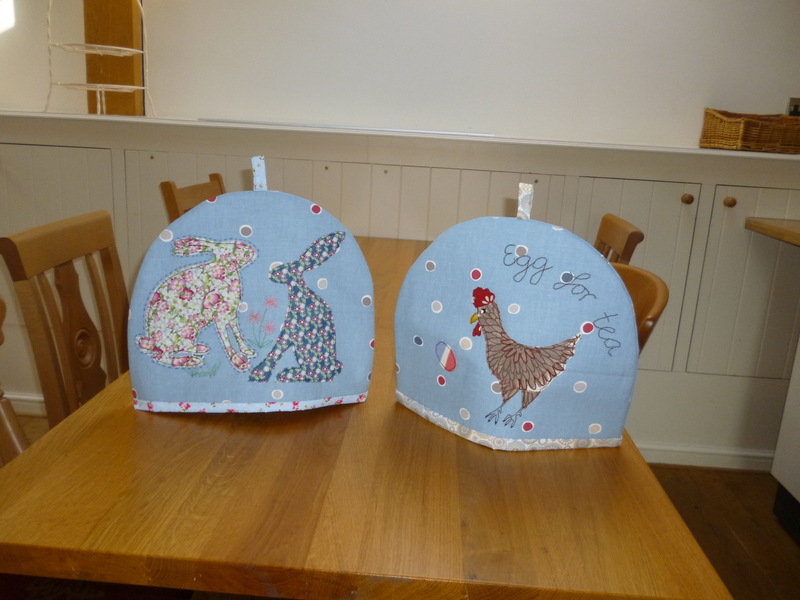 Liz and Lucy’s Cosies were very creative and featured hares and chickens and definitely brought a smile to my face. Lunch at Manor Farm Tea Shoppe is quite a treat with a selection of freshly made sandwiches, salad and crisps, followed by freshly baked scones with jam, cream and strawberries, trying to get the ladies to take a break from their sewing for lunch, is quite a challenge even with these temptations! 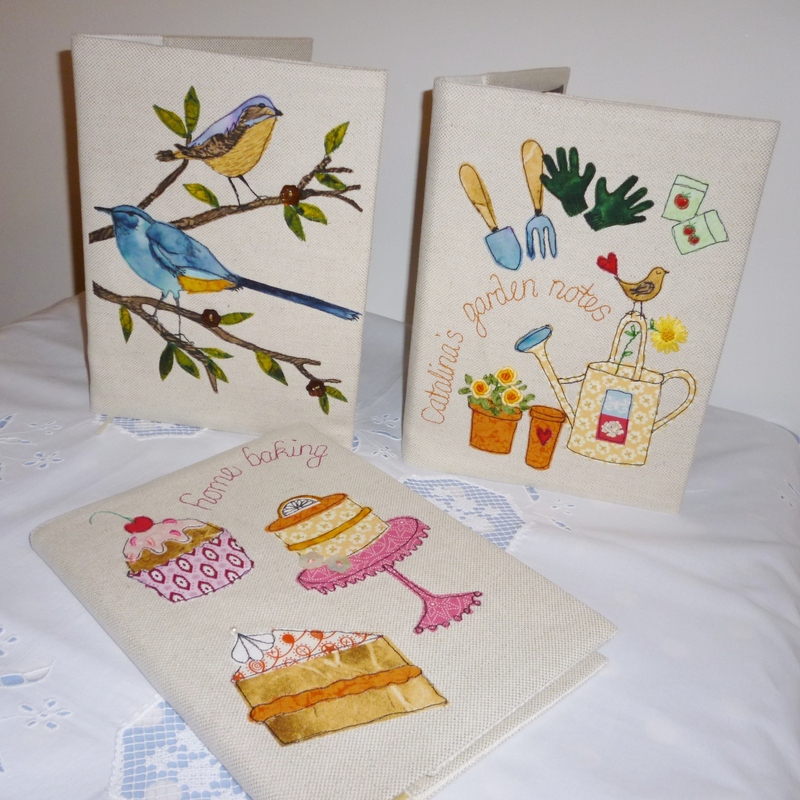 Karen’s and Sarah’s cosies were produced at a Saturday workshop and were colourful and beautifully sewn. The standard of work produced, as you can see was excellent, without exception, all participants had produced a professionally finished tea cosy of which to be proud. Well done everybody and thank-you for coming along it was a fun day. 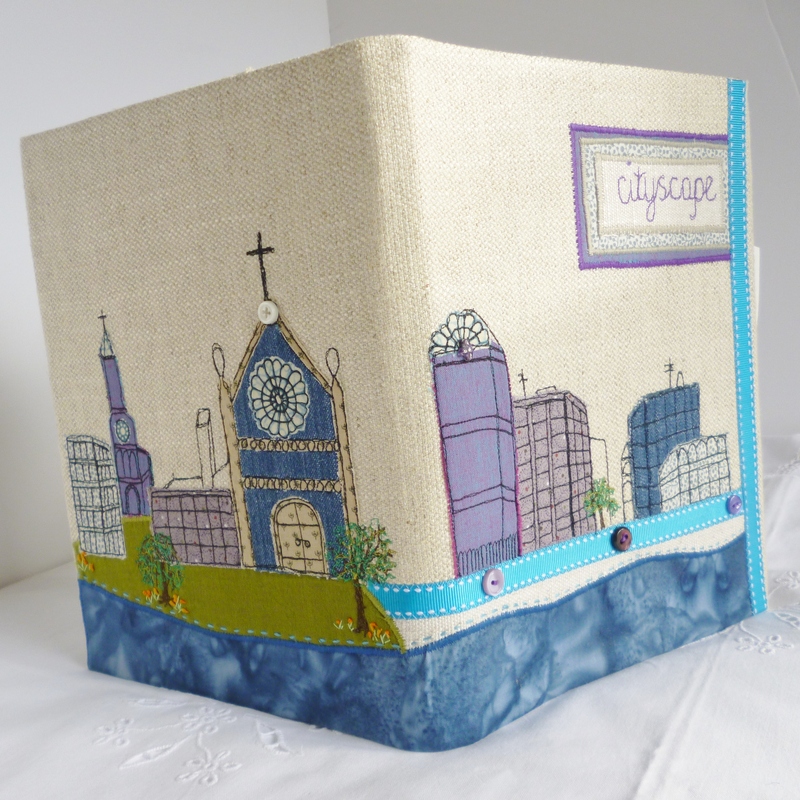 The sewing workshop program for 2013 will appear on my Workshops Page soon, hope you’ll join us! 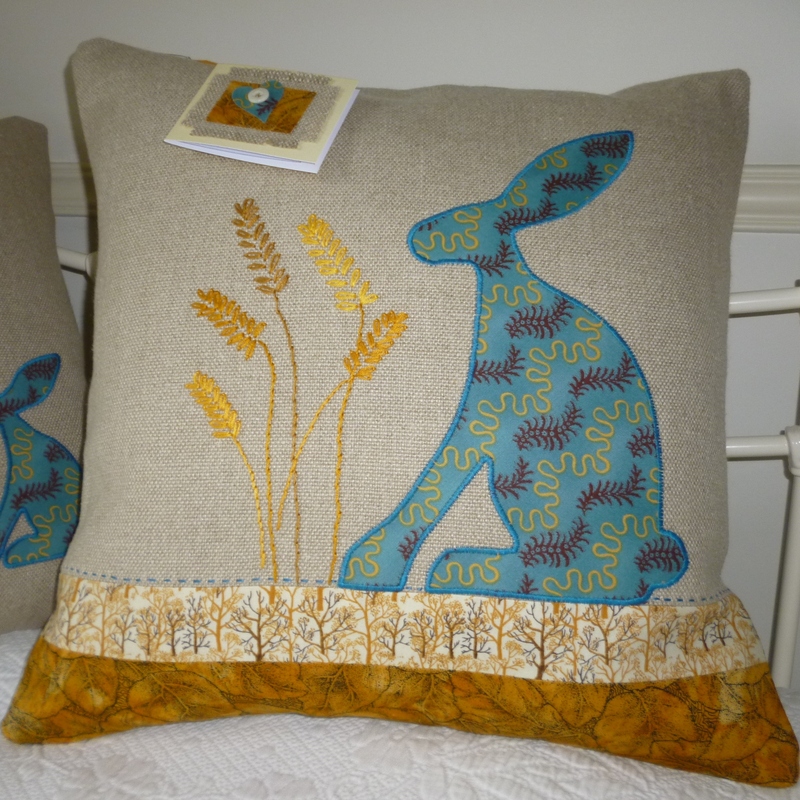 Just popping in to thank-you for a lovely days sewing. 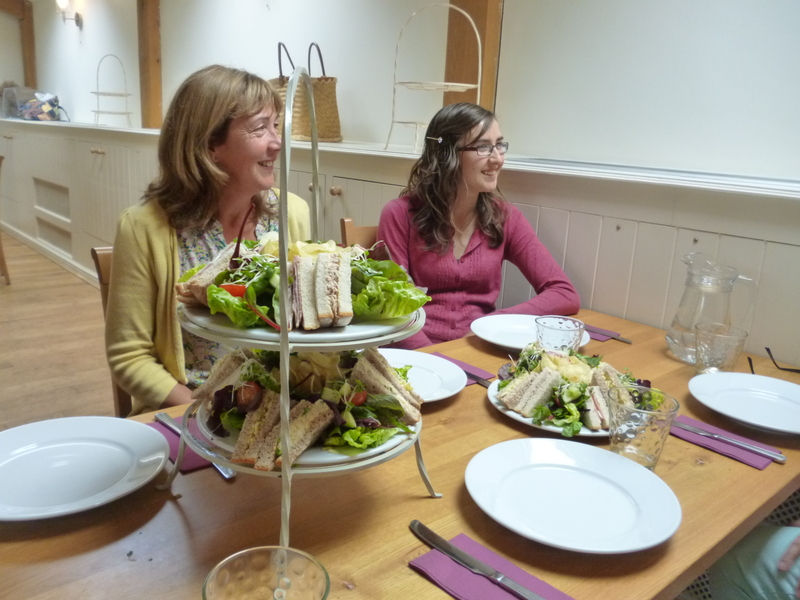 The combination of great tuition, good company and delicious food, all in idyllic surroundings, was quite memorable. 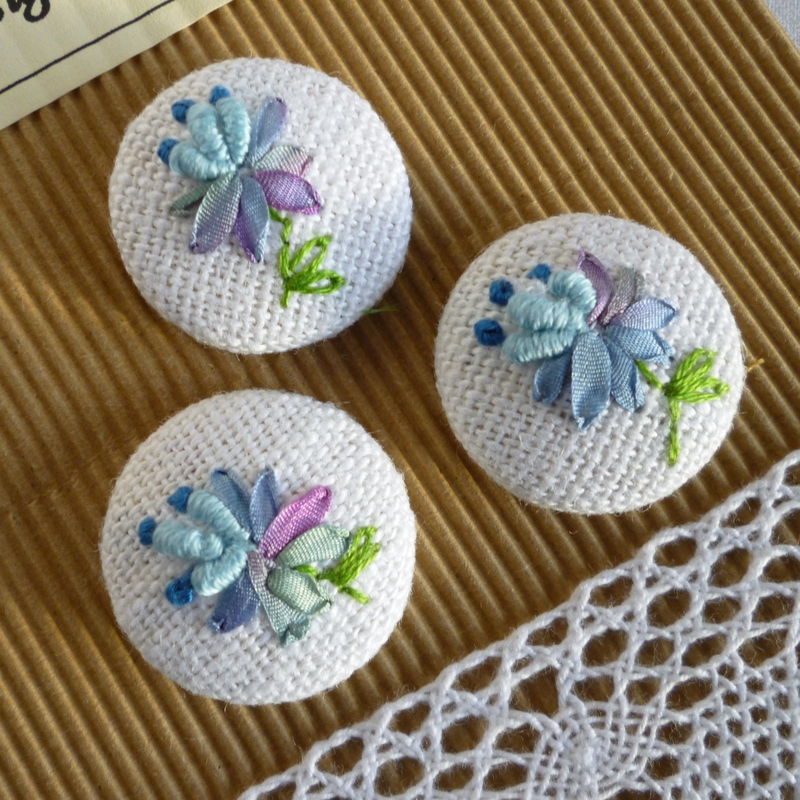 I am so pleased with my new skills! 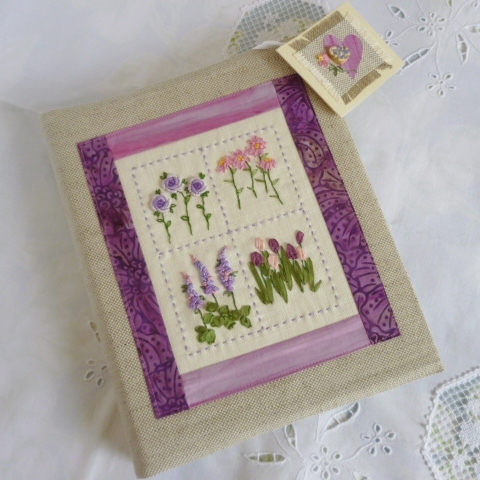 Thank-you Kathy, it was lovely to meet you. Looking forward to seeing your next creations. I LOVED the day! Your tuition is pitched perfectly and you encouraged me to challenge myself. 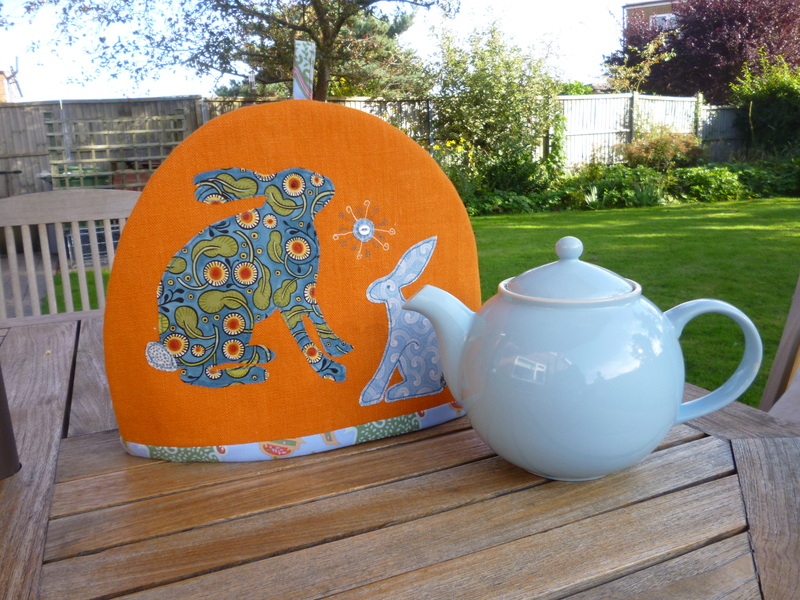 I am so chuffed with my creation and I can’t wait until the next day course!